The Perdue Southeast Distribution Center will be operated in partnership with Lineage Logistics, according to a statement released by Perdue Foods on Sept. 5. Both companies are making investments in the facility, which will receive fresh chicken from Perdue processing plants to be weighed, priced and labeled for shipment to customers. Perdue said it invested $5 million and is creating 100 new jobs, while Lineage invested an unspecified amount for equipment improvements. The logistics firm is adding 55 jobs. Lineage Logistics, based in Novi, Mich., ranks No. 18 on the Transport Topics Top 50 list of largest logistics companies in North America and No. 2 on the list of top refrigerated warehousing firms. Perdue, based in Salisbury, Md., operates 2,400 poultry farms, 21,000 hog farms and 5,500 grain farms in the United States. The company also operates processing plants for chicken, turkey and pork products, provides oilseed crushing and refining, seed and feed ingredients and transportation and distribution services. It has annual sales of $6.4 billion. 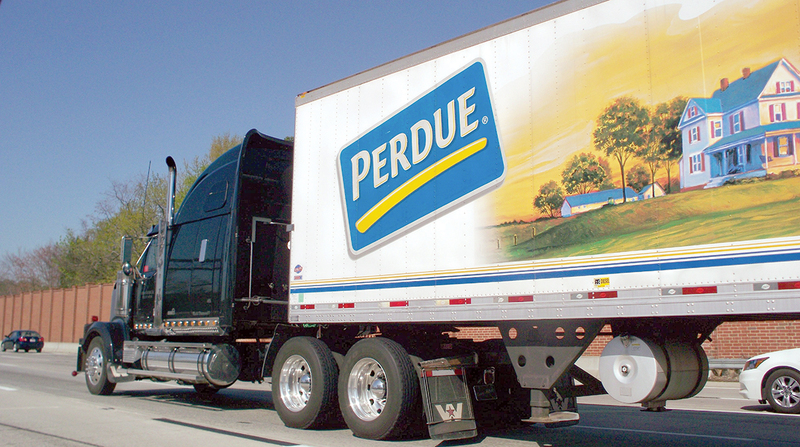 Perdue Transportation ranks No. 23 on the Transport Topics list of top private carriers in the food service sector, and Perdue Foods ranks No. 42 on the list of top private carriers in the agriculture and food processing sector.